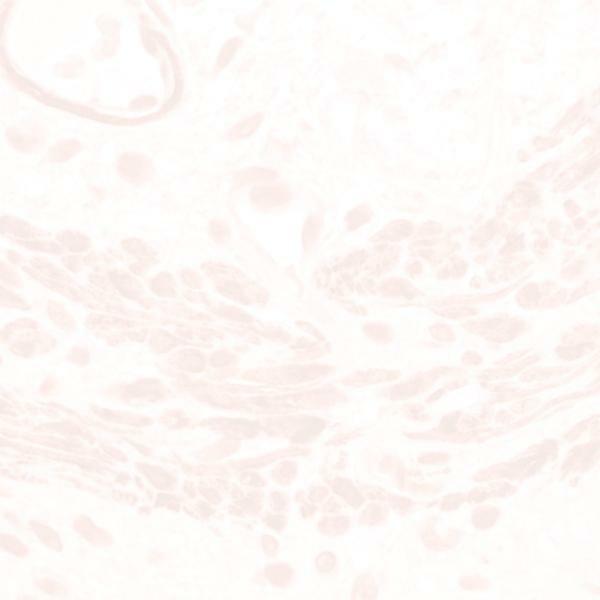 This Low Molecular Weight Cytokeratin 8 (Clone 35bH11) antibody reacts with the 54kDa Isotype IgM, Kappa protein corresponding to Cytokeratin 8. Clone 35bH11 reacts with almost all non-squamous epithelium but does not label squamous epithelium. In skin, clone 35bH11 reacts with sweat glands, ducts and in lung with pneumocytes, bronchial epithelium and mesothelium and in kidney with tubular epithelia. It labels acinar and ductal cells in pancreas and breast, follicular epithelia in thyroid, epithelia and mesothelium in GI tract. Clone 35bH11 does not react with epidermis, mesenchymal tissue (blood vessels, and dermis) and skeletal muscle and nervous tissue. In tumor cells, Clone 35bH11 reacts with non-squamous epithelial tumors. It reacts with adenocarcinomas of the ovary, GI tract and thyroid and with the majority of ductal carcinomas. Squamous cell carcinomas are largely negative.